This recipe is a great way to use leftover spicy tamarind steak. Serve with steamed white rice. 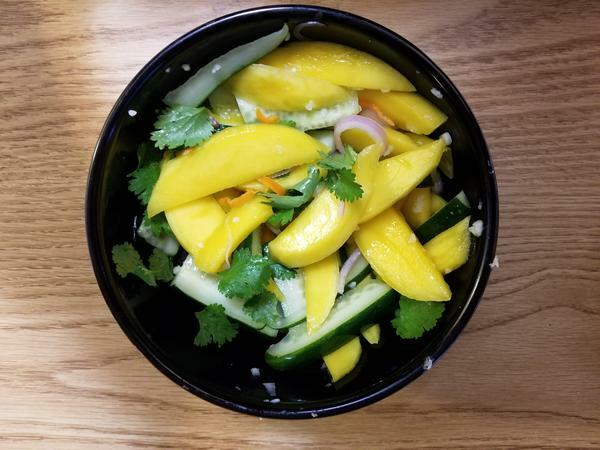 We first had this salad at a Thai/Lao restaurant in Virginia. It was freakin' awesome, and so we set making it at home. We combined three recipes and the result was quite good. This Yotam Ottolenghi recipe was a nice complement to his lamb shawarma dish. It was also a nice, bright, fresh salad at a time of year when you're craving anything but kale. Serving it with labneh makes it a more substantial dish. Serves at least 4 as a side salad.